American poet, playwright, lyricist, director, teacher, lecturer, and feminist Eve Merriam (b. Philadelphia, PA, 19 July 1916; d. New York, NY, 11 April 1992) was recognized during her lifetime primarily as a writer of verse for children. A mordant feminist, she was also writing, well before the “second wave” of the women’s movement got under way in the late ’60s, books, articles, and verse about the unbalanced relations between women and men. In the 1970s and 80s she became a successful playwright, ultimately publishing more than 80 books for young people and adults, including five plays, and poems and other writings in magazines and anthologies too numerous to count. Eva Moskovitz, as she was born, the youngest of four siblings, grew up in Pennsylvania where her parents, both of whom had emigrated from Russia as children, owned a chain of women’s clothing stores. Captivated from her earliest years by the rhythms and rhymes of the operettas of Gilbert and Sullivan, and by the verse published in a column of the Philadelphia Bulletin, she began to write her own rhymes at the age of seven or eight. Poetry became something of a necessity for her, and she contributed generously to her high school magazine and local newspaper. She attended Cornell (where she was friends with playwright Arthur Laurents) for two years, graduated from the University of Pennsylvania with a B.A. in 1937, and moved to New York to do graduate work at Columbia. When New York publishers almost universally rejected her poems, she consulted with a professor who suggested that the cause might be her Semitic-sounding name. Reluctantly, she agreed, and borrowed the name “Merriam” from her treasured American dictionary. Eve Merriam won a short-story competition in 1944, and her first book of poems, Family Circle, was the winner of the 1946 Yale Younger Poets Prize. It was published that year by Yale University Press with an introduction by Archibald MacLeish. But then, as now, poetry did not bring in a living wage; she worked as an advertising copy writer, as a CBS radio scriptwriter, as host of a weekly radio show on WQXR reading and discussing poetry, and later as the fashion editor of Glamour magazine. Continuing to write short fiction, in 1949 she won the Colliers Star Fiction Award. 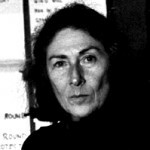 Merriam’s rise to prominence as a writer of verse, fiction, and biography for young people coincided with the raising of her own two sons, born to her and her second husband Martin Michel in 1951 (Guy Hank) and 1952 (Dee Andy). It began with biography (The Real Book about Franklin D. Roosevelt, 1952) and natural science (The Real Book about Amazing Birds, 1954). Her picture-books for children were illustrated by a variety of artists (The Voice of Liberty: The Story of Emma Lazarus, illustrated by Charles W. Walker, 1959; A Gaggle of Geese, illustrated by Paul Galdone, 1960; The Story of Benjamin Franklin, illustrated by Brinton Turkle, 1965; Miss Tibbett’s Typewriter, illustrated by Rick Schreiter, 1966), but even these were touched by her feminist concerns: as early as 1955 Merriam had written a series of articles for Charm magazine that formed the basis for her popular Mommies at Work (illustrated by Beni Montresor) in 1961. Appearing as it did less than a year after Betty Friedan’s blockbuster The Feminine Mystique, Merriam’s 1964 book dealing with the same issues, After Nora Slammed the Door: American Women in the 1960s – the Women’s Unfinished Revolution, was very nearly eclipsed in spite of its incisive and prophetic vision. From 1965 she taught short-story and critical writing for four years at City College while conducting research on a collection of life-stories as reported by a variety of American women. This was to become the influential anthology Growing Up Female in America: Ten Lives, published in 1971 and including accounts by Elizabeth Cady Stanton, astronomer Maria Mitchell, labor organizer “Mother” Mary Jones, a Winnebago Indian woman, and an emancipated slave, among others. In 1969 Eve Merriam and photographic illustrator Lawrence Ratzkin published The Inner City Mother Goose, verses of biting social criticism couched in the most apparently innocent of forms. (The shortest poem in the book: “There was a crooked man, / And he did very well.”) Anyone who read Merriam’s first six-line entry would have immediately perceived that the book was not meant for children; nevertheless, it stirred up a furor: offended judges and police officials voiced their outrage; one state senator in Maryland introduced legislation to ban the use of public funds by libraries and schools to purchase it. Young and hip theatrical director Tom O’Horgan, however, was convinced that Merriam’s verses would make a splendid basis for a Broadway musical. O’Horgan, who already had three shows running on Broadway – Hair, Lenny, and Jesus Christ Superstar – pitched the idea to her, she engaged Helen Miller, a rock-‘n’-roll composer, to write music to the collection and a few more songs as well, and Inner City: A Street Cantata opened in December 1971, running for nearly three months. 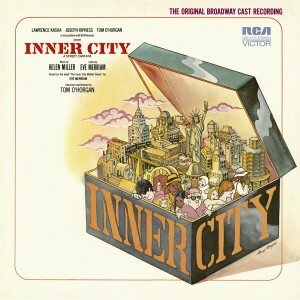 (It was revived in 1982 as Street Dreams, playing in Chicago, San Francisco, and New York.) Star blues singer Linda Hopkins won the 1972 Tony Award® for Best Featured Actress in a Musical as well as the Drama Desk Award for Outstanding Performance. But the controversy over The Inner City Mother Goose raged on for a decade, until Merriam could boast (in the introduction to a new edition) that it was “just about the most banned book in the country,” second only to Salinger’s Catcher in the Rye. Eve Merriam had been bitten by the theatrical bug. Although she continued to produce significant works of and about poetry (Finding a Poem 1970, Out Loud 1973, Rainbow Writing 1976) and efforts toward better balance between the genders (Boys and Girls, Girls and Boys 1972), she turned increasingly toward dramatization. With the collaboration of Paula Wagner and Jack Hofsiss, Merriam undertook to put portions of Growing Up Female in America on the stage. The play, titled Out of Our Father’s House, with music by Ruth Crawford Seeger, was seen first at the Lenox Arts Center in Massachusetts in 1975, and produced in New York City at the Theatre of Riverside Church in November 1977. Months later it was presented at the White House and televised on Great Performances on PBS. In 1976 her extraordinary musical, The Club, was staged at the Circle in the Square by Tommy Tune. The all-female cast portrayed the exclusively male members of an Edwardian gentlemen’s club, smoking cigars, telling sexist jokes and racy stories, and singing genuine popular songs of the period, all painstakingly unearthed by Merriam from the Lincoln Center Library for the Performing Arts, and all with lyrics embarrassing enough to make one’s flesh crawl. Merriam, Tommy Tune, costume (top hats and cutaways) designer Kate Carmel, and the entire cast won Obie Awards in the Distinguished Productions category in 1977. Also in 1976 Merriam wrote the first television network documentary on women’s rights, “We the Women,” for CBS. Subsequent plays by Eve Merriam included Viva Reviva (Lenox Arts Center, 1977), At Her Age (New York City, Theatre for Older People, 1979), The Good Life: Lady Macbeth of Westport (Ithaca College, NY, 1979), And I Ain’t Finished Yet (Manhattan Theatre Club, 1981), and Plagues for Our Time (La Mama Experimental Theatre Club, New York, 1983). In the 1980s Merriam taught dramatic writing for some years at NYU, served on the Tony Awards® nominating committee, and was an officer of the Dramatists Guild and Authors League. The National Council of Teachers of English honored her in 1981 with its Award for Excellence in Poetry for Children. Over all, before her death Eve Merriam had produced 24 books of poetry for children, 39 other books for juveniles, nine of poetry for adults, eight plays, and eight other books for adults. Merriam was married four times; her first three marriages (Erwin Spitzer, 1939, Martin Philip Michel, 1947–1960, Leonard Lewin, 1963–1980) ended in divorce. Her last husband was Oscar-winning screenwriter (Midnight Cowboy 1969, Serpico 1973, Coming Home 1978) Waldo Salt, from whom she was technically – but not romantically – separated in 1985; he died in 1987. It is suggested that during her marriage to Michel in the 1950s Merriam had a liaison with Carl Marzani, the left-wing political activist turned publisher. Marzani had served over two years in prison for having concealed his Communist Party membership while in the OSS during the Second World War. Salt, too, was a noted leftist, blacklisted in 1951 after refusing to testify before the HUAC. After her death, her friend Arthur Laurents acknowledged that “Katie Morosky”, the character he created in the film The Way We Were, played by Barbra Streisand, was based partly on Eve Merriam.